LexTranslate is a translation agency made up of a network of lawyers who combine their legal expertise with an extensive knowledge of foreign languages, acquired and which they continuously keep up-to-date through their professional activities. We offer a high quality service, in more than twelve languages. Documents are translated exclusively by lawyers qualified in their corresponding jurisdictions, who translate into their respective native languages. Moreover, our translators are not simply translators, they are also legal experts, with specific knowledge of the laws and native language relevant to the document to be translated. The service offered by LexTranslate is not simply a translation service, but rather a service which specializes in legal translations with a particular focus on the interpretation and comprehension of the contents of the legal documents, as per the laws of both the source and target countries, all in compliance with agreed deadlines and conditions. We use a method of verification and control that ensures high quality translations, pursuant to the principle that “four eyes are better than two”. Two lawyers, a translator and a reviewer, always work on each document. The original document is first translated by a lawyer whose native language is the target language of the document and then edited by another lawyer whose native language is that of the source document. At the end of the translation and editing process, the document is subject to further quality control before it is forwarded to the client. LexTranslate guarantees full compliance with respect to the confidentiality of the contents of all documents, the conditions and timing agreed with the client and guarantees post-delivery assistance to answer to any questions or queries. Law firms and notary firms, national authorities and European Union Institutions, Courts and Offices of Public Prosecutors, companies, multinational companies, universities. Italian native speaker and citizen. Graduated in law from the University of Palermo in 2005; registered, from 2009, with the Bar of Milan (Albo degli avvocati di Milano) and, from 2014, with the Roll of Certified Legal Translators of the Milan Court (Albo dei Consulenti Tecnici e dei Periti Penali del Tribunale di Milano) with respect to civil and criminal law, for English, Spanish and French language. After completion of the practical part of her training to become a lawyer at two international law firms in Milan, during 2008/2009 she undertook a Master in European Union Law at the University Carlos III of Madrid. From 2009 to 2010 she carried out a traineeship at the Court of Justice of the European Union in Luxembourg and at the European Commission in Brussels (DG Competition, Unit A3 – State Aid). 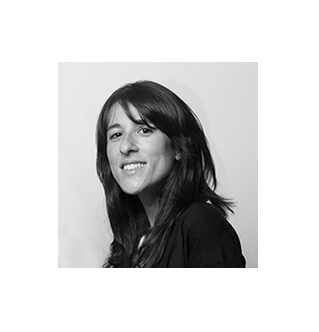 From 2011 to 2014 she worked as lawyer in Milan, at a leading law firm, in the fields of commercial and bankruptcy law. She has worked as a legal translator for European Union institutions, Italian Courts, law firms, companies and multinational companies since 2014. In particular, she works as lawyer-linguist, with the Court of Justice of the European Union and the Translation Centre for the Bodies of the European Union, translating legal documents from English, Spanish and French into Italian. She also works regularly with the Office of the Italian Public Prosecutor translating international rogatories. In 2015 she founded LexTranslate together with Diana Vaccaro. Since September 2016 she has been a professor teaching the subject of “Legal English” at the Law Faculty of Palermo, university centre of Trapani. Italian native speaker and citizen, since 2012 resident in Madrid (Spain). Graduated in law from the University of Palermo with honours in 2005 with a grade of 110/110; registered from 2010 with the Bar of Milan (Albo degli avvocati di Milano) and, from 2013, with the Madrid Bar (Colegio de abogados de Madrid). After completion of the practical part of her training to become a lawyer at an international law firm in Madrid, during 2006/2007 she undertook a Master in European Union Law (European legal studies) at a leading higher education institution, College of Europe of Bruges. Afterwards, she carried out a traineeship at the European Commission (DG Competition, Unit A3 – State Aid). From 2008 to 2014 she worked as lawyer in several international law firms, initially in Brussels, then in Milan and finally in Madrid, focusing in particular on competition law, consumer protection law, intellectual property law and industrial property law. In 2015 she founded LexTranslate together with Simonetta Buccellato. Since September 2016 she has been a professor teaching the subject of “Legal Spanish” at the Law Faculty of Palermo, university centre of Trapani. Italian native speaker and citizen, since 2013 resident in Zurich (Switzerland). 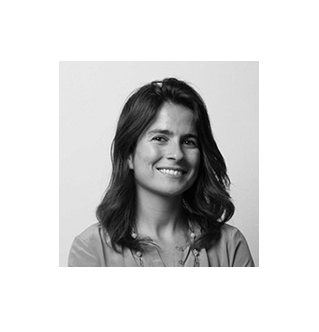 Roberta has been working as lawyer-linguist with LexTranslate and she has been responsible for LexTranslate’s Zurich operations since 2017. Graduated in law from University Carlo Cattaneo – LIUC of Castellanza (Varese, Italy) with honours in 2008 with a grade of 110/110; already fully qualified as a practicing lawyer both in Italy and Spain. After completion of the practical part of her legal training at an international law firm in Milan, and in Cagliari, she cooperated with international law firms in London, Milan, and Zurich. During 2012/2013 she undertook a Master in International Tax Law (LL.M., Merit) at a leading higher education institution, King’s College London. 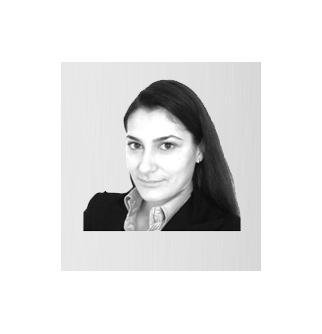 From 2014 she is legal counsel at Noveras in Zurich, specialized in comparative and international tax law, as well as in tax amnesties and tax reporting. Our quotes are based on the number of words in the original document to be translated, regardless of the characters and format of the file used, in order to ensure complete transparency to the client. I hereby authorize the processing of the personal data contained in my CV under art. 13 of Legislative Decree no. 196/2003.